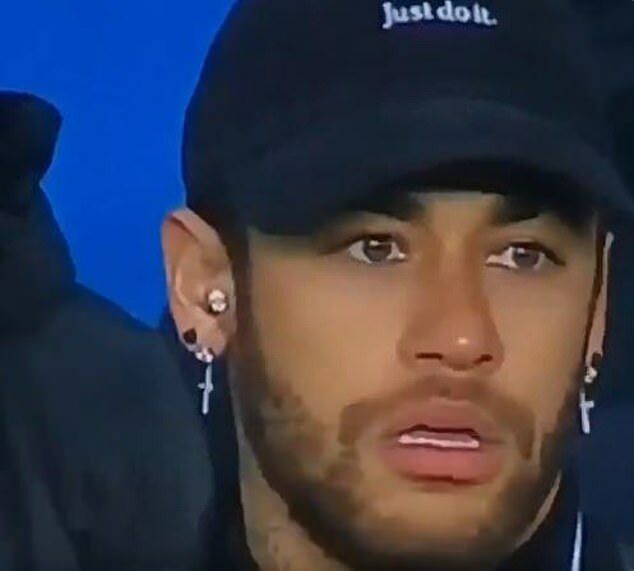 Neymar had to be ‘restrained by club staff’ after the Brazilian watched on as Paris Saint-Germain were dramatically dumped out of the Champions League by Manchester United. 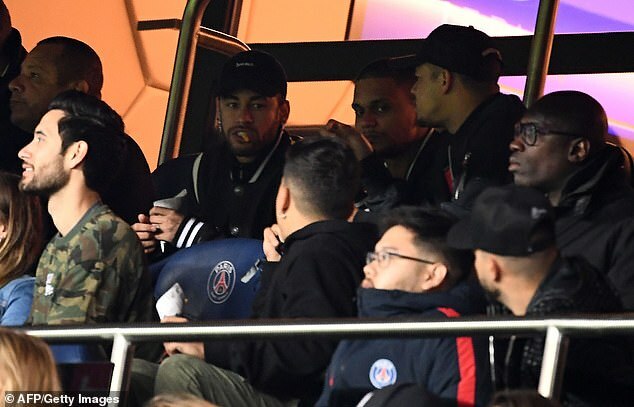 The £198million man was on the sidelines at the Parc des Princes as he continues to recover from a metatarsal injury he sustained in January. 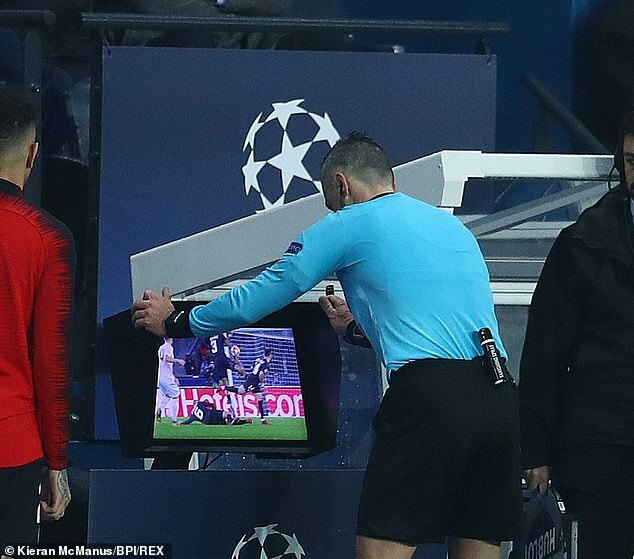 And according to RMC Sport, the player’s anger at the dramatic exit spilled over into the tunnel afterwards. 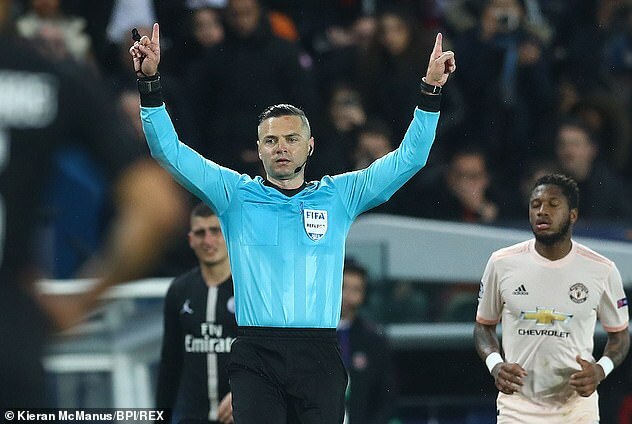 The report states that Neymar angrily ‘tried to enter the referees’ office’ as his frustration at Dario Skomina’s late penalty award – which was given via the interference of VAR. 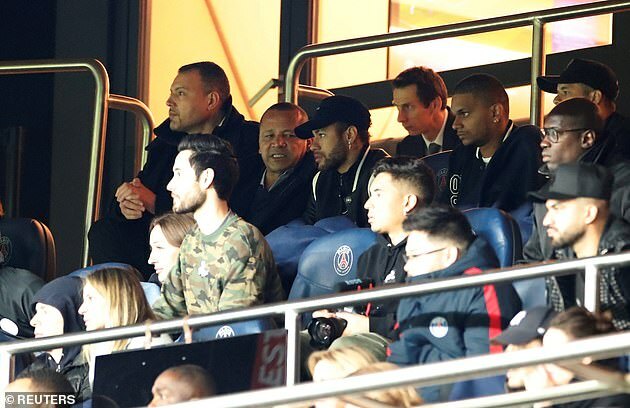 Club president Nasser Al-Khelaifi was also left seething, according to the RMC report, after seeing another Champions League campaign go up in smoke. The Qatari chief let his anger out, bashing against a door which evidenced the frustration generated by this defeat. 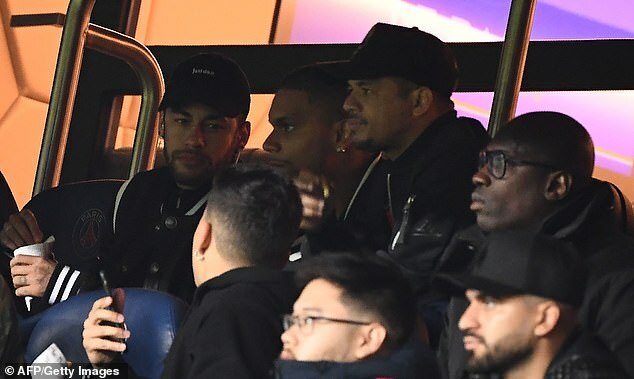 Neymar and boss Thomas Tuchel are reported to have embraced in a hug which goes against suggestions in recent months that the Brazilian could be angling for an exit under the former Borussia Dortmund boss. 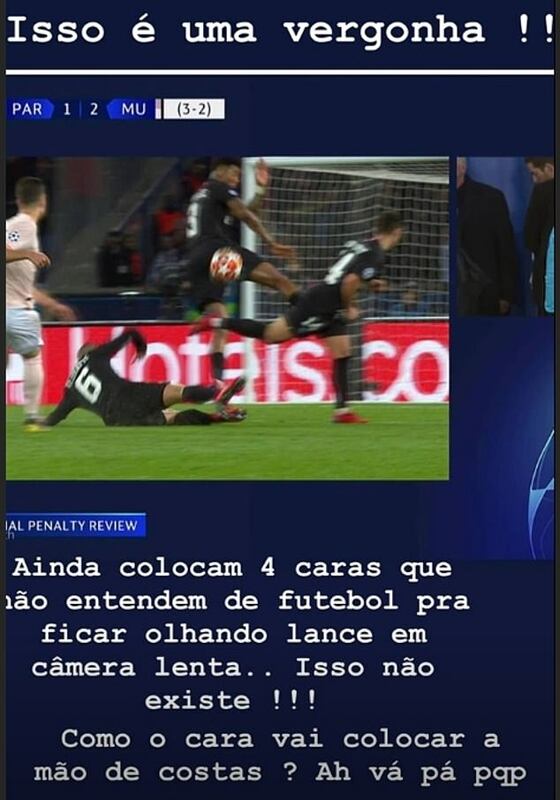 The Brazilian was livid with the referee and blasted him, writing on Instagram: ‘This is a disgrace, they put four people that know nothing about football in charge of looking at the replay for VAR. PSG were knocked out of the Champions League at the last-16 stage by Real Madrid last season and continue to fall short in the tournament they want most of all. Neymar’s side are still set to win Ligue 1 at a canter and also have a chance of glory in the Coupe de France.